I have been using Examine.com for a number of years, it has grown and developed over that time into what I feel is the most comprehensive and detailed resource on the net for supplementation. One of the problems that I have always faced is where to find information on supplementation that was scientifically accurate and not based on biased research promoted by the supplement industry. This is where Examine.com came in. They have a strong ethos of using peer reviewed research to make their recommendations, they also are very proud of the fact that they receive no financial reward for the supplement industry. They do not even take samples! This is great as it has allowed the building of a resource that is completely impartial and free of any accusations of bias. 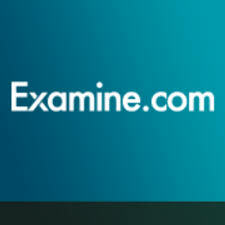 The guys at Examine.com have very generously made a great deal of their information available on their website completely for free. This is a great place to have a look if you are a supplement user or advising others on supplement use. I found out a great deal about the things that I have and do take in terms of how to get the best use out of them and the effectiveness. This has allowed me to make informed decisions about how I use supplementation. If like me you like the portability of having this information on a tablet I decided to buy the the Supplement Goals Reference Guide. This has been useful when on the go or asked those tricky questions by clients or learners. They also have more manageable guides to specific supplement issues such as sleep, stress, muscle synthesis and much more. These guides basically tell you all about the essential supplements to take for a given situation, those that are debatable and also those that are not currently supported by the evidence. Also with all the information you need on how to use them, these Stack Guides again are something that I have used and I can not rate highly enough. The final product from Examine.com that I have used is the awesome Research Digest, this is a great resource for those who are interested in the science behind supplementation but are no so keen on sitting down and reading the journals. This magazine type product covers key developments in the areas of nutrition and supplementation, a subscription is a must for those that are looking to stay current. – Up to date and regularly reviewed evidence based information. – Ease of use with a standardised format across the products. – Written with no bias or influence from the supplement industry. I would head over to Examine.com and have a look at the free information and see what you think, the resources are amazing and well worth the investment for all those involved in the use of and advising on supplementation. If you have used Examine.com or have any comment please feel free to fire them into the comment box. Great review. In the second paragraph, you write “They have a strong ethos of NOT (emphasis mine) using peer reviewed research to make their recommendations…”. Is that a typo. If it’s not a typo I am wondering about the reason(s) for your observation. Hi Barry, well spotted!! Examine is well know for their use of peer reviewed and non compromised research, so complete typo there.